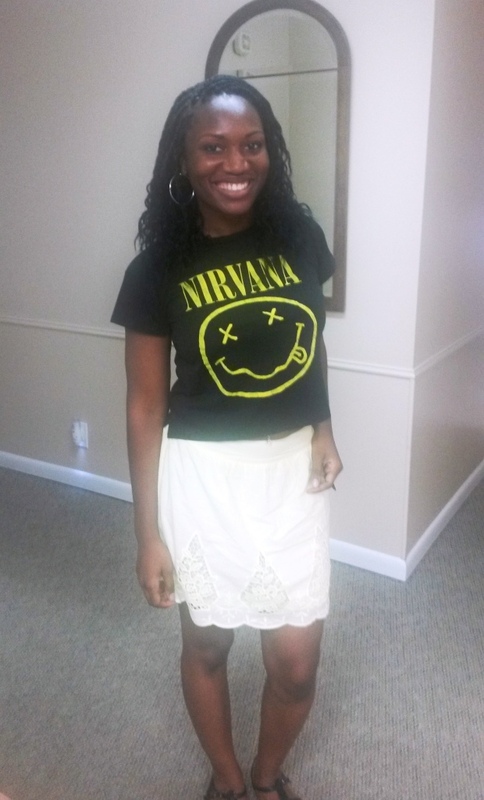 Naomi Prioleau is a busy, active reporter with the Marshall New Messenger in Marshall, Texas. She is the first to tell you that as a journalist she is on call all the time. And that her work demands lots of available energy. Over the course of a few months, Naomi gave up meat, dairy, eggs, and cut back on oil. This one-at-a-time approach – one of several transition options – is a workable method for many. As detailed in The Plant-Based Journey, transition styles are many and there’s no ‘one single right way’ to switch to plant-based living. 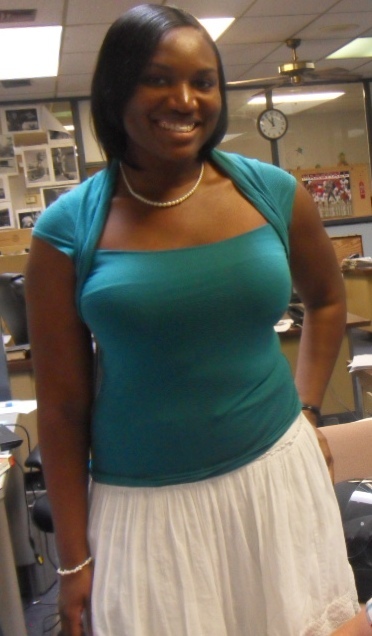 Naomi lost thirty pounds within a year of when she started to eat plant-based. She also found that she no longer experiences that “2:00 slump” and has much higher energy levels than she did before when eating an omnivorous diet. Naomi, prior to her 30 lb weight loss. Not long ago I caught up with Naomi on the phone. She graciously and enthusiastically took time from her busy day to share her story right here on the plant-based journey blog. 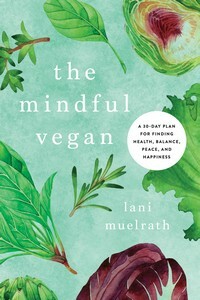 Lani: Naomi, what was your moment of awakening to the plant-based journey? Naomi: I had grown tired of eating meat. There are so many problems inherent in having meat in your diet. First you have to be sure to take it out of the freezer to thaw in time, then you have to be sure it’s thawed enough so that when you cook it, it cooks all the way through so that it is safe to eat. And you have to be sure not to get it out of the freezer too soon because the bacteria may start to grow. Finally fed up with it all, one day I decided to try eating vegetarian. I had many friends who were vegetarian or vegan, so I contacted one of these friends to help me out at eliminating meat and fish. I am lactose intolerant, so I was already limited in what dairy products I could eat and didn’t eat cheese anyway, so decided I might as well join in. Naomi: I moved to Marshall, Texas in October of 2012. Then while dining at a restaurant, I asked if they knew of any vegetarian-friendly places and they told me about Amanda Smith and the Get Health Marshall plant-based program. I contacted them and they provided a lot of help, like giving grocery store tours. Lani: What was the hardest part about changing your diet? Naomi: For me the hardest part was all the hidden dairy and egg ingredients in food – things you wouldn’t expect have dairy and eggs! I LOVE cakes and had to give those up – until I figured out how to make cakes just fine without dairy and eggs! I now make my favorite chocolate cake using cocoa, flour, and almond milk. Lani: What was the easiest part about going plant-based? 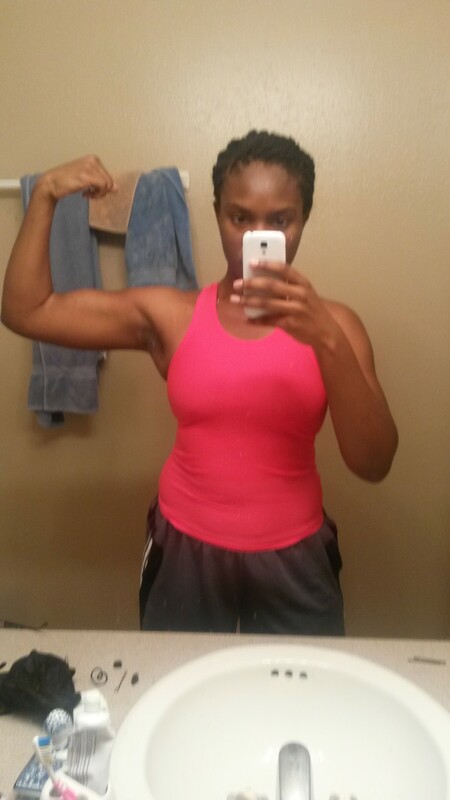 Naomi: The easiest part was no longer feeling so stressed about what I ate and putting meals together! I could be so much freer with what I eat. I could go to the store, walk down the produce aisle, pick out any vegetable or fruit I wanted. From that I could make a meal, like mushroom stroganoff or frittata, or a squash casserole. I researched online and found plenty of veg recipes. It was so much easier to let all the ideas go about including meat. I also used vegan meat substitutes on occasion. 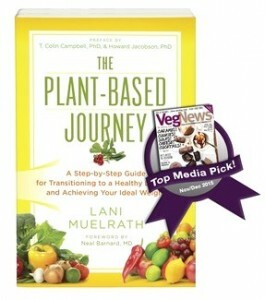 Lani: What are your suggestions for someone else just starting out on the plant-based journey? Naomi: Everyone goes through the journey in a different way. If you are thinking about trying it, try it for a week. Or try having a meatless meal once a week for starters. Contact someone you know who can help you get started. Naomi – energized, slim, enjoying what she eats, and feeling very, very good about it all. Naomi shines a light on the value of keeping it simple, being prepared, and avoiding overthinking the process. Not long after our interview, I met up with Naomi in Marshall Texas while presenting for Healthfest, an event she was covering for the Marshall Messenger. Vibrant, effervescent, and enthusiastic as ever about plant-based living! Naomi is the first person I have heard of that expressed a primary motivation for switching to plant-based as tired of being worried about food contamination that easily comes along with the animal products. 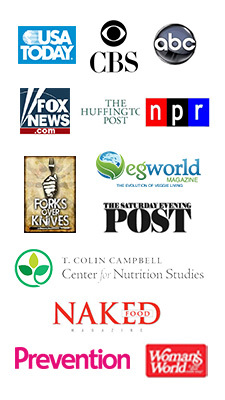 The Get Healthy Marshall program that Naomi connected with early on in her plant-based journey – and which spawned the annual event I reported to you about a short while ago – Five Reasons to Get Yourself to the Next Healthfest– has now exploded in the media with The Marshall Plan campaign. In a small town in the heart of Texas cattle country, Mayor Ed Smith III sat unmoving, as his doctor spoke… prostate cancer. That diagnosis hadn’t even crossed his mind. So what now? Chemotherapy? Surgery? In a courageous move, Ed decided to forego conventional treatment, and instead adopted a strictly whole foods, plant-based diet. Soon thereafter he returned for his follow-up checks. The doctors, his family, and his community, were stunned to find that his cancer had vanished. What happened next is equally incredible: the Mayor and his wife embarked on a mission to help their community adopt the plant-based lifestyle and become healthier. And it worked! Inspired by an article published in the New York Times about Mayor Smith’s efforts to make his entire community healthier, a Switzerland-based film (a former PR advisor to major national brands and global Fortune 500 companies) team flew to Marshall. For the documentary, the film team followed formerly unwell, medically reliant citizens of Marshall who have completely transformed their health and quality of life by finally choosing foods that works for them rather than against them. And without using any drugs. They have combined these accounts with interviews from doctors and researchers in the field of nutrition, along with professional athletes, in the hopes of not only inspiring people to make a change for the better, but to also redefine what we’ve been conditioned to consider “healthy”. To see what Marshall’s been up to with advancing plant-based living, you can view the Marshall Plan video trailer here whether or note you are an Indiegogo fan: The Marshall Plan. Click on the image to go to the Marshall Plan Indiegogo video. Unusual reason for starting the plant-based journey? Have you heard an unusual reason for going plant-based? If not, what is the most common reason you hear for people opting out of animal products? I’d love to hear about it – please share in replies below. All best for your continued success! I love Naomi’s story! And she’s given me another ‘reason’ to tell people about when it comes to avoiding meat and animal products. I don’t have a ‘most unusual’ story that comes to mind. Most people I know who want to change to eating a plant-based diet are doing it for health and weight loss. And the animals are quite often mentioned too. That’s what has gotten me to go plant-based. It took me awhile to get there, I was a little slower about it than Naomi. She makes it sound so easy which is really great! Thanks for the article and all the links. Can’t wait for The Plant-Based Journey to come out! You are right – Naomi did move fast! I remember when I spoke with her regarding this interview how her entire tone was “well, of course I had to do this – who wouldn’t?” It was very refreshing and inspiring! And thank you for your enthusiasm about Journey – it won’t be long now! Did you grab your pre-order bonus gifts? Yes, I did get my bonus gifts! I loved the excerpt chapter on weight loss and the recipes in “Sauces That Sizzle” are just what I needed! I’m making the Red Pepper sauce tonight! Thanks! I find it interesting that the weight loss was almost an “oh, by the way” issue. For me, first reason for going plant-based was the animals. So I started without thinking so much about healthy eating, but it has moved greatly in that direction. One of the things I like about your work Lani is that you consider all the aspects. You know, the health and the animals and environment, too.